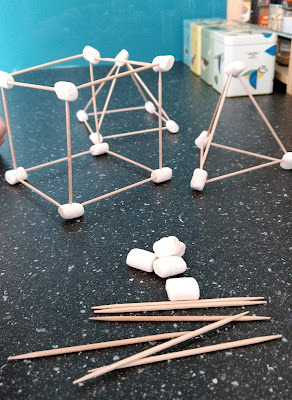 We had a lot of fun shape building with cocktail sticks and marshmallows this morning. 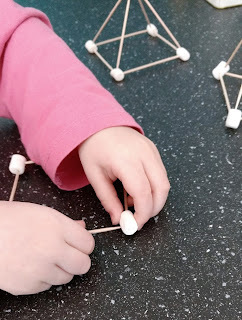 We made some 2D shapes first and Jess was keen to tell me how many sticks and marshmallows we'd used for each shape. Then we built up our models so that they would stand creating pyramids and prisms. 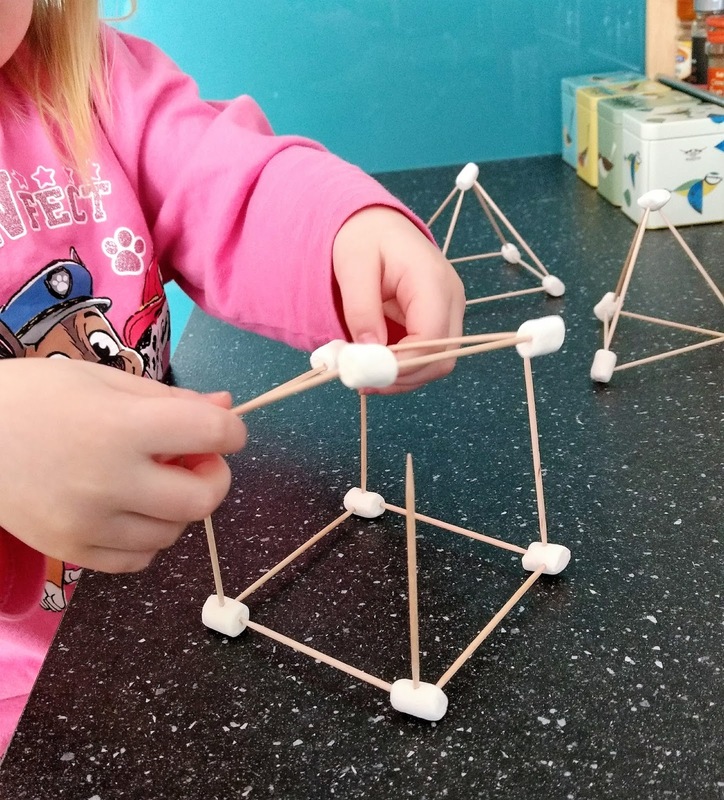 She told me that the Go Jetters visit The Pyramids and pretended that the cube was an icy cold ice cube. She also commented that the square based pyramid had a more space on the bottom than the tetrahedron. 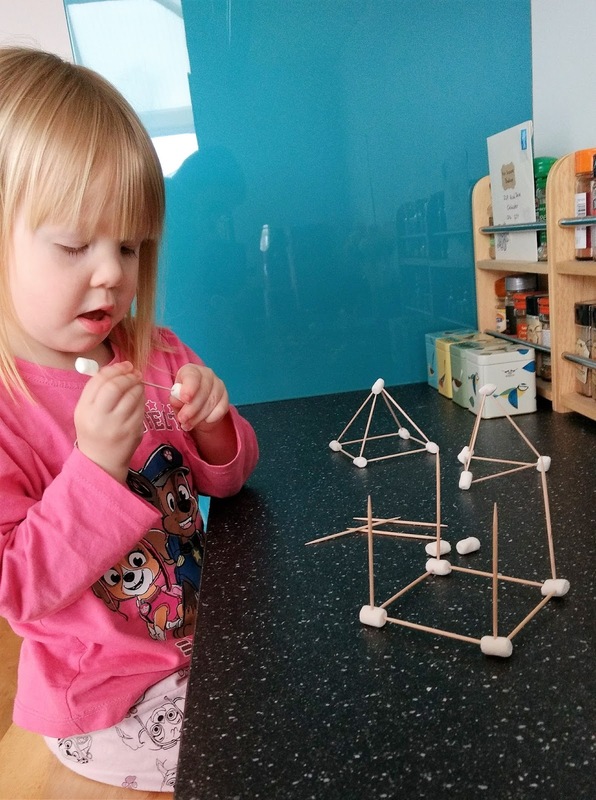 You're never too young to enjoy a spot of geometry!